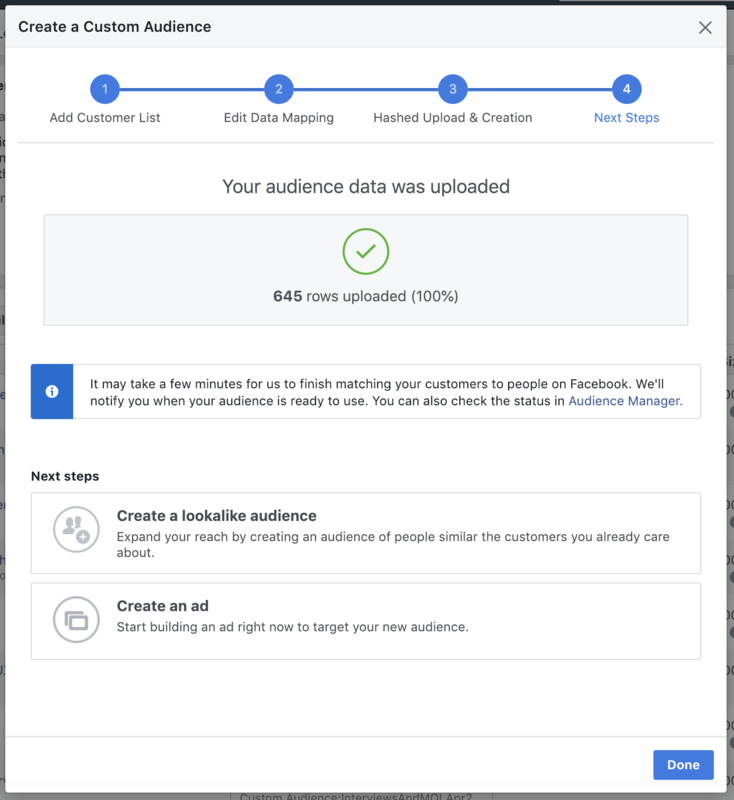 Fomo's "curated ad lists" feature is an experimental product launched to a private BETA audience in January 2019. To learn more about this feature or to participate in the beta, email ryan@fomo.com. If you are already a participant, follow along belong. Fomo will carefully leverage the target audience metrics you provided to build a custom audience. This will be emailed to your Fomo user email, attached as a CSV. 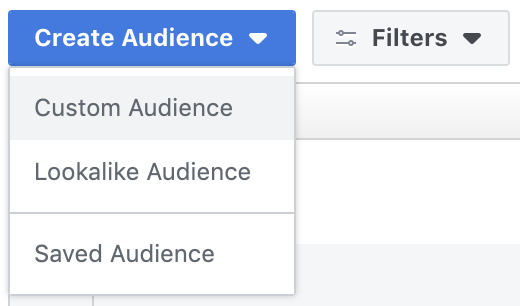 Inside Facebook > Business Manager, visit the Audiences portal via the top left dropdown > Audiences. 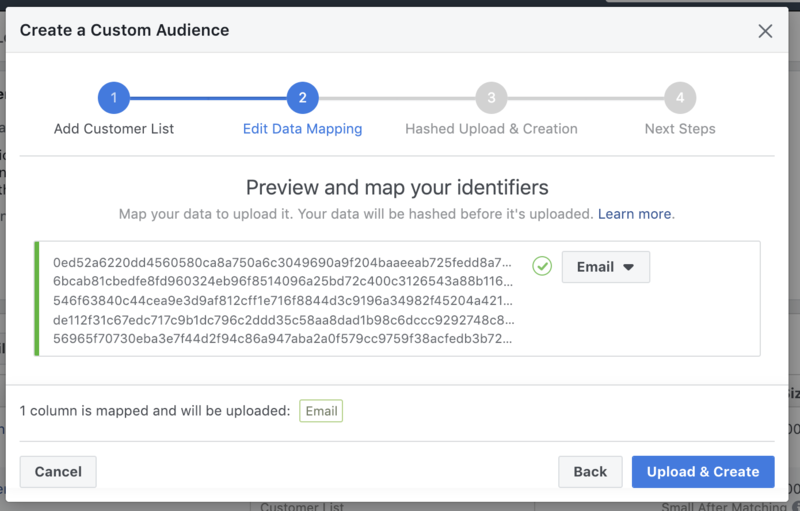 Click "Create Audience > Custom" to open the wizard. 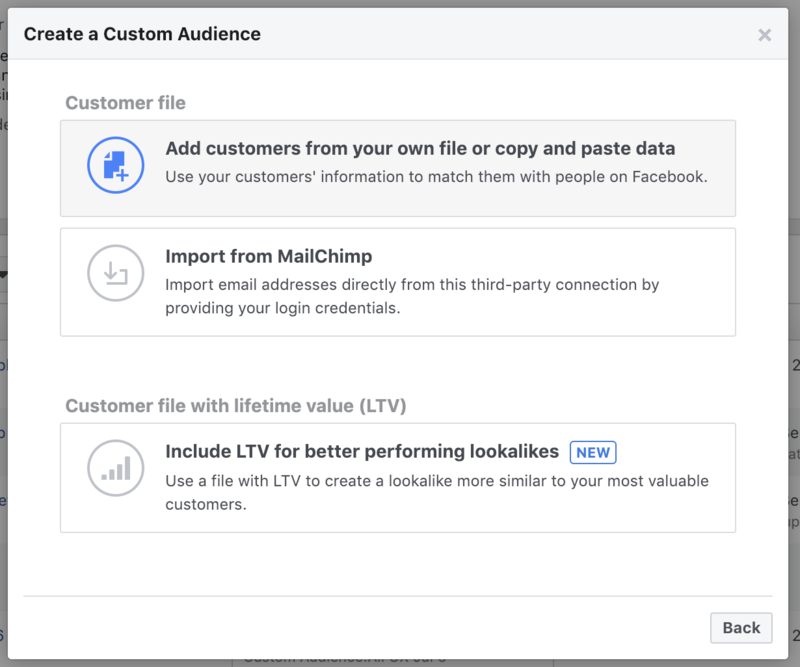 Click "Add customers from your own file." 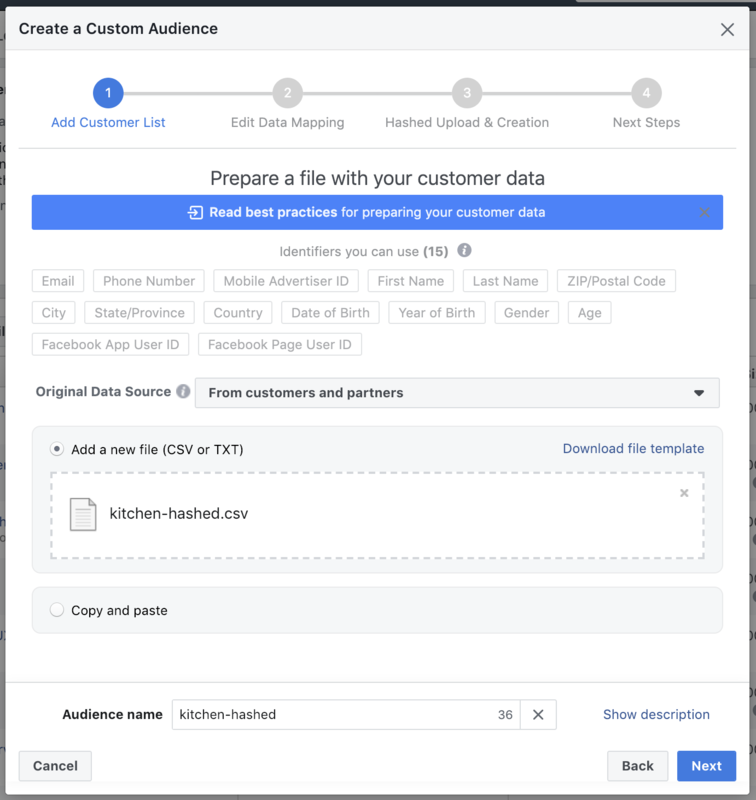 Select "From customers and partners" in the Original Data Source dropdown and then upload the hashed CSV file you were sent by Fomo (Step 1). Click next, then choose "Email" in the mapping dropdown. If you click "Done" on the previous screen, you'll return to the Audiences portal. Here you can confirm that the list is ready to use, and you can point a new or existing ad campaign toward it. Let us know (by emailing ryan@fomo.com) how your lists are performing.